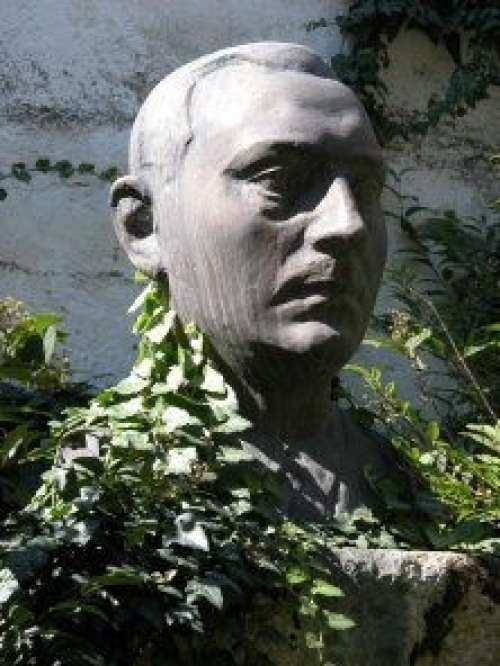 Ferenc Rezső Haáz was born on the 12th of August 1883 in Northern Hungary, Szepesbéla (SpisskáBelá, ZipserBela). His father was Sándor Haáz, town-clerk, his mother was Vilma Weisz. He studied at the famous high school in Késmárk, in German and Hungarian language. In 1896 his father was transferred to Igló, so he continued his studies here and he graduated from the Hungarian high school in 1901. The talented young man continued his studies in Budapest at the College of Arts in the period between 1901-1905. 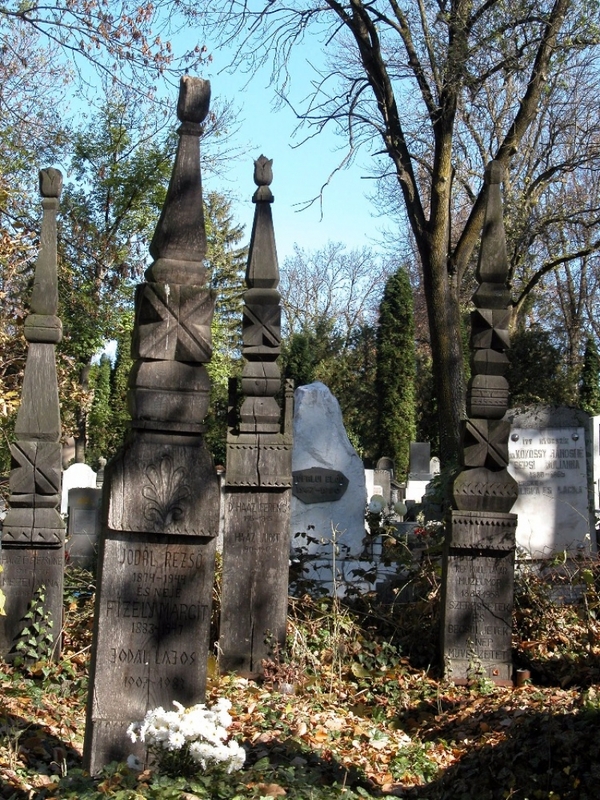 He spent a year volunteering in Budapest at the artillery regiment no. 12, he was discharged in 1906 when he was employed. During his army years he applied for a vacant art teacher job in Odorheiu Secuiesc at the Reformed College where he was employed as an assistant teacher. The young teacher who came to Odorheiu Secuiesc for a school year was feeling good there and he stayed for the following years. In 1909 he settled down definitively in the town. Soon he founded a family as well. On the 12th of July 1910 he married Annuska, the daughter of dr. Ödön Mezei, the county doctor. The Haáz family had soon children too: Anna (1911), Sándor (1912), Ferenc (1913) and Jolán (1915). When the war broke out, on the 1st of August 1914 he got his call-up paper. 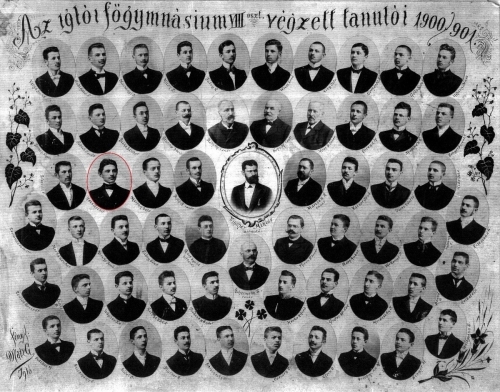 First he was called up for office work at the salt mine in Praid, later he was appointed to the commanding officer of the hospitals in Făgăraș and Dej. 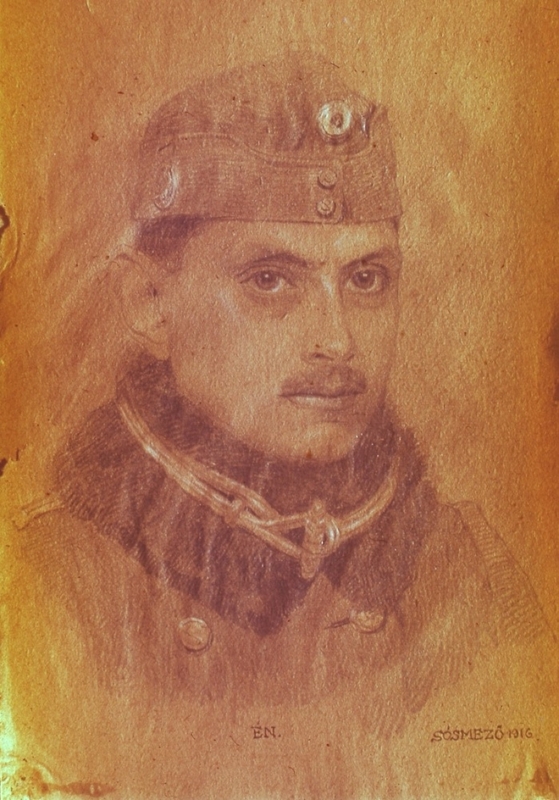 From October 1915 he fighted at the Italian, then at the Serbian, Italian, Romanian and Tyrolean fronts as the lieutenant of the mountain artillery regiment no. 12. When the war ended he returned to Odorheiu Secuiesc in the autumn of 1918 and he continued teaching. In 1943 he was appointed director of the school. He was a director until 1944 when he escaped to Transdanubia together with his family. In the spring of the following year, when the front had left, he returned home and continued teaching. He was still teaching when the denominational schools had been nationalized (1948) but in the following year he retired. His pedagogical job was strongly related to the development of the ethnographical museum. 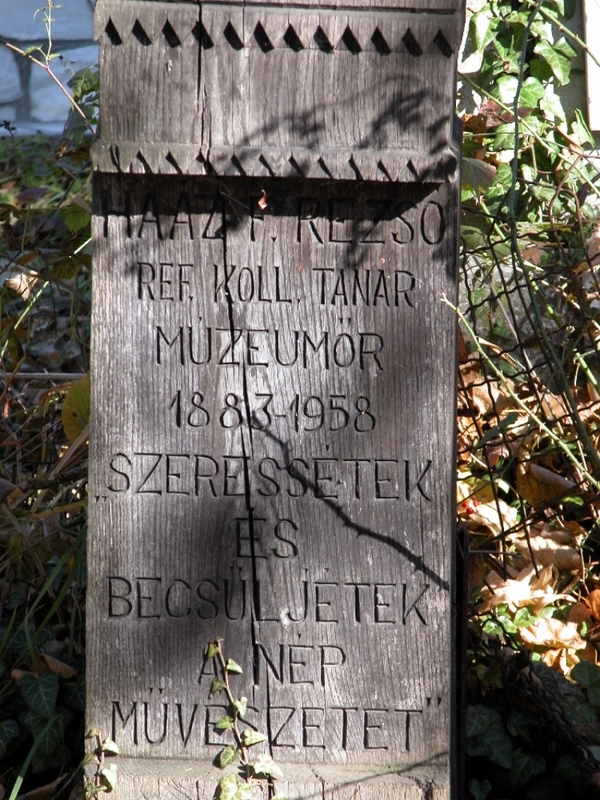 As a boarding school supervisor and later as the president of the boarding school – living in the school together with his family – he had been in touch for years with the county students’ parents – county teachers, clerks and many smallholders -, so he was in touch with the Szekler material and intellectual ethnography. The students helped him collect objects and due to their local knowledge and zeal they managed to collect many items and at weekends he could travel by cart to the remote villages. Students returning to school after a holiday often brought him items from their homes. The transfer of the new college building was an advantage for the founding museum, in the old school building there were both rooms and furniture for the exhibition, so after 1913 visitors could come and see the museum. In 1950 the fast-growing college collection was turned into an independent state museum. He became the first director of this museum and he managed it until the end of the year 1952. From the 1st of January 1953 the museum was directed by the teacher László Erdélyi.